James R. Schlesinger, a former Pentagon chief and CIA director, was an elite figure in conservative policy circles from the 1960s until his death in March 2014. He held numerous high-level government positions in the 1960s and 1970s, including as chairman of the Atomic Energy Commission, director of the Central Intelligence Agency, secretary of defense, and secretary of energy. 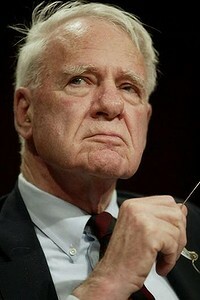 After leaving government, he worked for military contractors and served on a number of government advisory panels, including the Pentagon’s Defense Policy Board, the Congressional Commission on the Strategic Posture of the United States, and the State Department’s International Security Advisory Board, among others.He also chaired the advisory board of the National Interest magazine. Schlesinger was later relieved of his duties by President Gerald Ford, prompting the Republican Schlesinger to support Democrat Jimmy Carter in the 1976 presidential election (though Schlesinger had first supported Ronald Reagan’s failed primary challenge to Ford). The victorious Carter appointed Schlesinger to be the first U.S. secretary of energy, where, during the numerous oil crises of the late 1970s, he became closely associated with the Carter administration’s unpopular conservation policies. Secretary Schlesinger was also a major proponent of expanding nuclear power, prompting protests from the burgeoning environmentalist movement. When anti-nuclear activists rallied some 65,000 people on the National Mall in protest of Schlesinger’s nuclear agenda, he dismissed them as “the same people who were for Ho Chi Minh” in Vietnam. 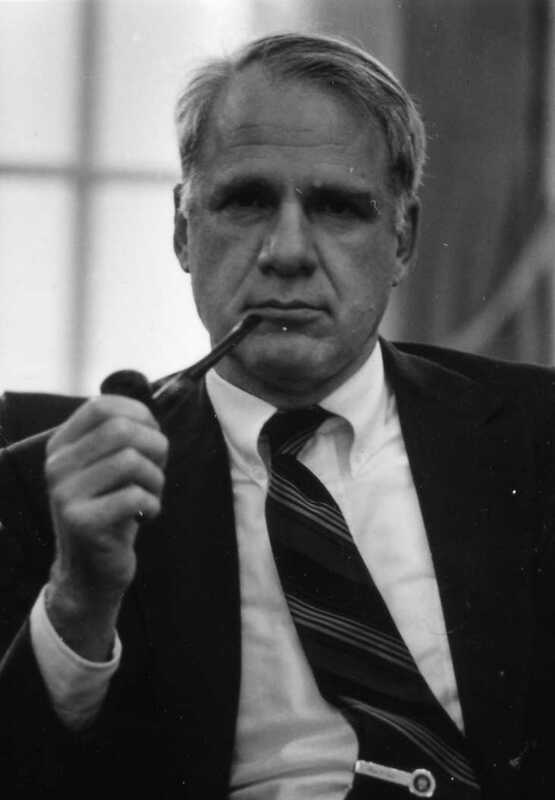 After leaving the Carter administration in the late 1970s, Schlesinger entered the corporate world and served on a host of hawkish government advisory panels. Among these was the so-called Foster Panel (after its chairman John Foster), a controversial panel promoted by Sen. Jon Kyl (R-AZ) that was criticized for promoting new nuclear weapons development. The panel, officially titled the “Panel to Assess the Reliability, Safety, and Security of the United States Nuclear Stockpile,” was established by the FY 1999 Defense Authorization Act. Its members included Foster, Schlesinger, and nuclear weapons designer Harold Agnew. In 2001, shortly after the election of President George W. Bush, Schlesinger was appointed to the Defense Policy Board, a Pentagon advisory board then chaired by Richard Perle. Observers were critical of many of the appointees at that time because of their extensive connections to military contractors, arguing there was a clear conflict of interest. Perle eventually stepped down as chair after his various industry ties were widely discussed in the media. Other members serving with Schlesinger at the time included Newt Gingrich, Ken Adelman, James Woolsey, Eliot Cohen, Richard Allen, and Martin Anderson. Many of these men had risen to prominence in the Reagan administration after initially joining forces in the late 1970s in the Committee on the Present Danger (CPD), a hardline anticommunist pressure group. Schlesinger served on the board until 2012. In 2009, Schlesinger was tapped to serve on the State Department’s International Security Advisory Board, which advises on arms control, disarmament, international security, and other aspects of public diplomacy. At the time of Schlesinger’s appointment, Paul Wolfowitz, the controversial former Pentagon official and World Bank chief, was the board’s chair. Also serving on the board with Schlesinger were well known hawks Robert Joseph, Michael O’Hanlon, Keith Payne, William Schneider Jr., William van Cleave, and James Woolsey. That same year, he served as vice-chair of the bipartisan Commission on the Strategic Posture of the United States, a panel that included such longstanding national security hawks as John Foster, Keith Payne, Fred Ikle, and James Woolsey. In a review of the commission’s final report, the Center for Arms Control and Nonproliferation said that “the report uneasily straddles two competing visions. One vision seeks to reduce the role played by nuclear weapons in U.S. national security policy. The other vision stresses that nuclear weapons remain as important today as ever before.” While the report supported passage of a new START Treaty (which was eventually ratified by the U.S. Senate in December 2010), it failed to press for passage of the Comprehensive Test Ban Treaty and placed a heavy emphasis on extending nuclear deterrence instead of exploring alternative forms of maintaining peace and security. In recognition of his track record supporting hawkish arms control and security policies, the neoconservative Center for Security Policy (CSP) awarded Schlesinger its 2001 Keeper of the Flame award. Then-Defense Secretary Donald Rumsfeld was on hand at the CSP even to present Schlesinger the award.” Other recipients of the award have included Rumsfeld, Paul Wolfowitz, Sen. Joe Lieberman (I-CT), Sen. Jon Kyl (R-AZ), Steve Forbes, Newt Gingrich, and Christopher Cox. Schlesinger has worked for a number of defense contractors and financial companies, including the MITRE Corporation, where Schlesinger at one point chaired the board of trustees, and Lehman Brothers. He was joined at MITRE by a host of other elite figures closely associated with militarist advocacy campaigns, including retired Admiral David Jeremiah, a one-time adviser to the neoconservative Jewish Institute for National Security Affairs, and Ronald Fogleman, a retired air force general who served alongside Jeremiah and Schlesinger on the Perle-led DPB. Schlesinger is the author of The Political Economy of National Security (1960) and America at Century's End (1989). Timothy R. Smith, “James R. Schlesinger, CIA chief and Cabinet member, dies,” Washington Post, March 27, 2014, http://www.washingtonpost.com/national/james-r-schlesinger-cia-chief-and-cabinet-member-dies/2014/03/27/e4a8f01c-b5bb-11e3-8020-b2d790b3c9e1_story.html. Melanie Kirkpatrick, “Why We Don't Want a Nuclear-Free World,” Wall Street Journal, July 13, 2009, http://online.wsj.com/article/SB124726489588925407.html. Robert McFadden, “James R. Schlesinger, Willful Aide to Three Presidents, Is Dead at 85,” New York Times, March 28, 2014,http://www.nytimes.com/2014/03/28/us/politics/james-r-schlesinger-cold-war-hard-liner-dies-at-85.html?_r=0. Stephen Schwartz, "The New-Nuke Chorus Tunes Up," Bulletin of the Atomic Scientists, July/August 2001. Center for Public Integrity, "Advisors of Influence," March 28, 2003, http://www.publicintegrity.org/2003/03/28/3157/advisors-influence-nine-members-defense-policy-board-have-ties-defense-contractors. State Department, “Current Board Members: International Security Advisory Board,” http://www.state.gov/t/isn/isab/c27632.htm (accessed February 2, 2011). Center for Arms Control and Nonproliferation, “Analysis: Final Report of the Congressional Commission on the Nuclear Strategic Posture of the United States,” May 6, 2009, http://armscontrolcenter.org/policy/nuclearweapons/articles/050609_analysis_commission_nuclear_strategic_posture/. CSP, "Defense Secretary Rumsfeld Gives Center Award to Former Defense Secretary James Schlesinger,” November 7, 2001,http://www.centerforsecuritypolicy.org/p515.xml.